Marketplace Vendor Attribute Manager For Magento 2 : Magento 2 Marketplace Vendor Attribute Manager module allows the admin to create vendor’s custom attributes. 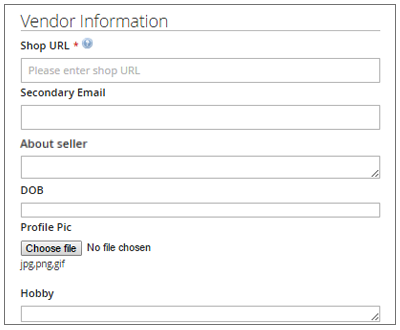 Vendors can fill the attributes on the registration page and can update these attributes on the vendor profile page. With the help of this module, users can find all custom attributes created by admin on vendor profile page. Marketplace Vendor Attribute Manager For Magento 2: Magento 2 Marketplace Vendor Attribute Manager module allows the admin to create vendor’s custom attributes. Vendors can fill the attributes on the registration page and can update these attributes on the vendor profile page. With the help of this module, users can find all custom attributes created by admin on vendor profile page. Admin can create or update Vendor’s/seller’s custom attributes/fields. One can opt for this module if wants the admin to fetch any additional details from the seller while seller registration. 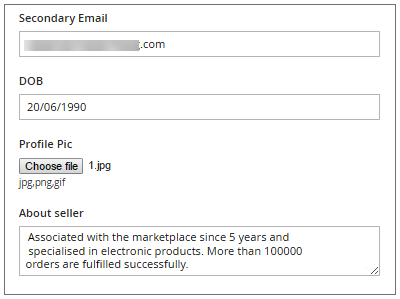 This module will enable the admin to create attributes for the sellers. These attributes will be visible at the vendor registration form. 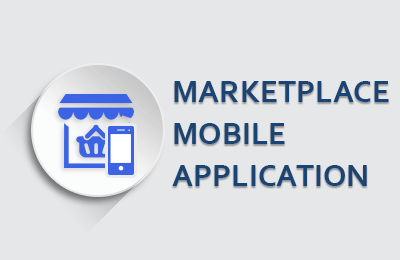 The sellers will have to fill and provide information for these attributes while registering themselves at the marketplace stores. The details may include sellers telephone number, hobbies, alternate email address etc, it could be any kind of attribute. The sellers can even update or edit the values of these attributes. Vendor attribute manager is very useful extension for admin as well as for the seller and buyers too. Vendor attributes are basic information of sellers/vendors like their address, phone number, certifications, about seller, about sellers company or any other information which the admin needs from the seller/vendor. 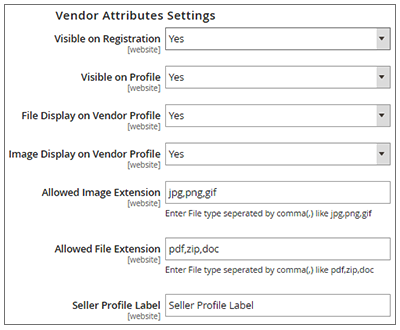 This extension allow admin to create various attributes to display seller information to buyers. Vendor attribute manager module is beneficial for sellers/ vendor because they can show their information at their profile page. Their location, company profile, type of company, contact details etc. so that they can create goodwill in their buyers mind. Vendor attributes manager benefits buyers because buyer get to know about the seller of the product, their details like for how many years they are selling these kind of product, from where they are sending the products, contact details of sellers etc. so that they can trust on those sellers and can place orders and can build a long term business relation with them. Did you buy Magento 2 Vendor Attribute Manager Marketplace Add-On?